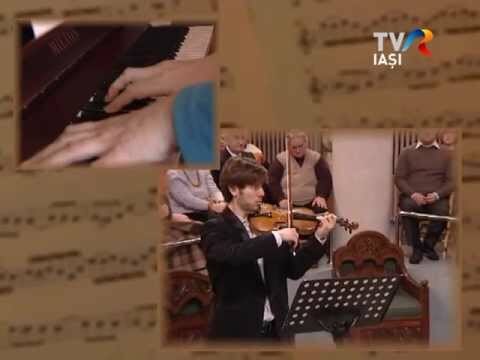 First Prize winner of the International Competition held at the Niccolo Paganini Academy of Music in Genoa, Italy, the Romanian violinist Tudor Andrei is rapidly gaining a reputation as yet another bright talent emerging from Romania. He has been a winner of the Violin Romanian Olympics in two editions, as well as gaining many other national awards. 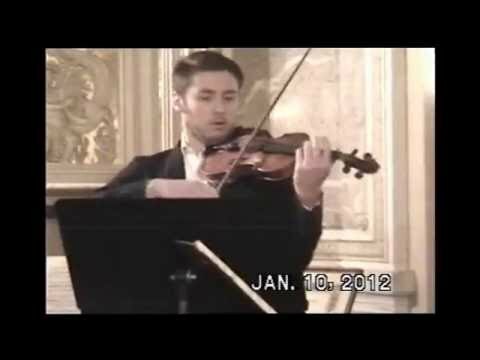 Aged 16, Tudor already received a prize from Rotary Club for his activity as a young violinist. In 2005 he has been admitted at the Royal Academy of Music where he had the chance to study with Professor Remus Azoitei. Since arriving in Britain, September 2005, Tudor has performed in venues such as Duke’s Hall, Royal Academy of Music, Romanian Cultural Institute, University Women’s Club, St. James’s Church, Grosvenor Chapel Mayfair, St. John’s Smith Square, William Goodenough Trust, St. John the Divine-Richmond, Trinity Church. In December 2006 he had his debut at St. Martin’s in the Fields, followed by invitations to play at the White Hall and Foreign Press Club. He has also performed at events organized by European Commission & the European Parliament, for World Poetry Day, the 50th anniversary of the Treaty of Rome, performance broadcasted by BBC and RAI and an exciting Recital in a capsule of London Eye to celebrate Europe Day, filmed by a team from the European Broadcasting Service. 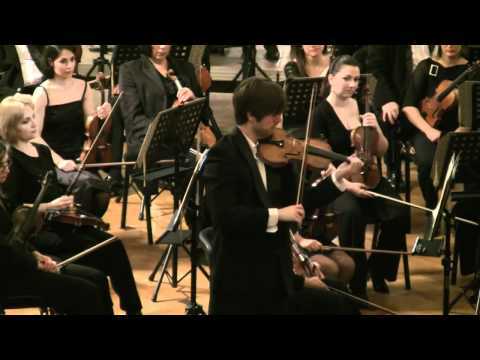 It was a great honour for Tudor to be invited by the Enescu Society in London in April 2009 to perform in a Gala Concert of the Young Artists, 2 years later being invited again, on a joint concert of Enescu and Grieg Societies, this time as a mature artist, on which was a memorable performance. He has been invited to perform in Norway July 2010, as part of the Edvard Grieg and Ole Bull Festivals, thankfully to Miss Aliz Kosza. In 2012, Tudor has toured Cuba, on the invitation of romanian ambassador in Havana, Dr. Dumitru Preda. On the Viennese stage, Tudor played for the first time in December 2010, at the Romanian Cultural Institute in Vienna, then having invitations to play in Liszt-Saal Konzerthaus, Universität für Musik und Darstellende Kunst, English Theatre, Peter's Kirche, French and Romanian Embassies, Murau Castle in the presence of the Schwartzenberg Princess, etc. Since an early age, Tudor Andrei plays regularly as a soloist with Orchestra. Some Highlights include his debut In March 2009 at the Great Hall of the Romanian Atheneum, the most important concert venue in Romania and a concert in Winchester. Great Britain. Some other Highlights as a soloist with orchestra include Beethoven violin concerto, which Tudor performed in May 2010, with the Mihail Jora Philharmonic and in November with the Brasov Philharmonic. 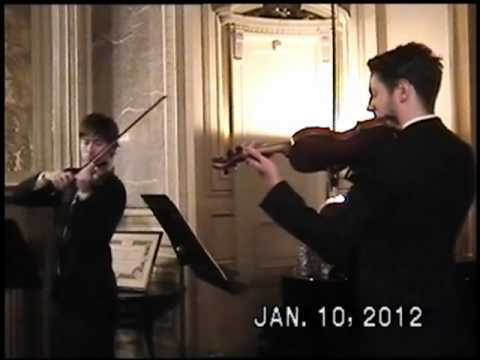 In June 2010 he has performed a triple violin concerto, first audition, with the Azalea Ensemble of the Royal Academy of Music, work dedicated to the 3 players. In 2017 he was invited as soloist and concertmaster to perform in Taiwan, Malaysia and Singapore. He is also very active as a chamber musician sharing the concert platform with different chamber music groups. Apart from the classical and romantic repertoire, he is invited to play contemporary works in first audition, having the chance to work directly with the composers. Very recent, he took part in some masterclasses held by Alexander Pavlovic, Benjamin Nabarro, Max Zorin..etc and had the chance to meet in person and to play for violinist Joshua Bell. 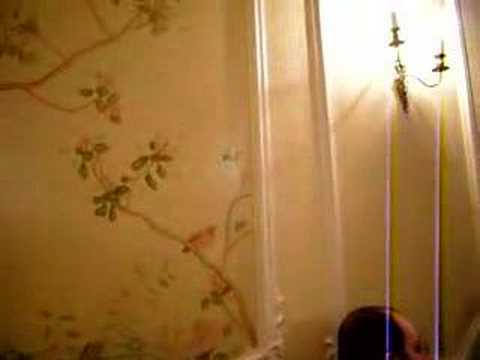 Between September 2006 and June 2007, Tudor was “artist-in-residence” at the Romanian Cultural Institute inLondon. 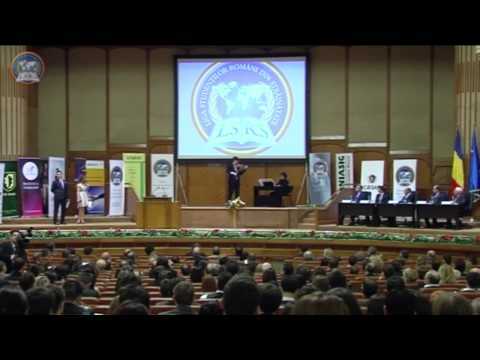 In 2012, he has played in a Gala concert at the Romanian Parliament, in front of the President of Romania. Tudor Andrei graduated in June 2010 The Royal Academy of Music, where he studied violin with Professor Remus Azoitei. From September 2010 until July 2011, studied in Vienna, under the guidance of Professor Josef Hell. Was part of a TV Documentary broadcasted on ORF Television. He plays an italian violin made by Giovanni Cavani, aprox. 1890’s kindly loaned from Mr. Cristian Sima.